Claim your Garage Door Sensor Today! Simply fill out the form, and one of our security consultants will provide you with a FREE in-home estimate. 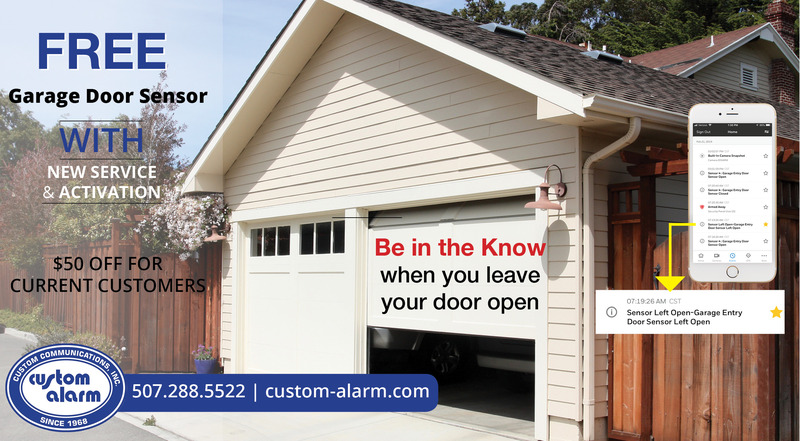 If you choose to go with Custom Alarm for your home security, we will give you a FREE Garage Door Sensor. Already a customer? Fill out the form and we will give you $50.00 off the purchase of a Garage Door Sensor. Purchase from us by the end of April 2019 and receive a FREE Garage Door Sensor. Current customers receive $50.00 off the purchase of a Garage Door Sensor. Claim Your FREE Garage Door Sensor Today!